ΕΙΔΗ ΠΡΩΙΝΟΥ : Bjorg BIO Μπισκότο ημιολικής με Μύρτιλλο 175gr. 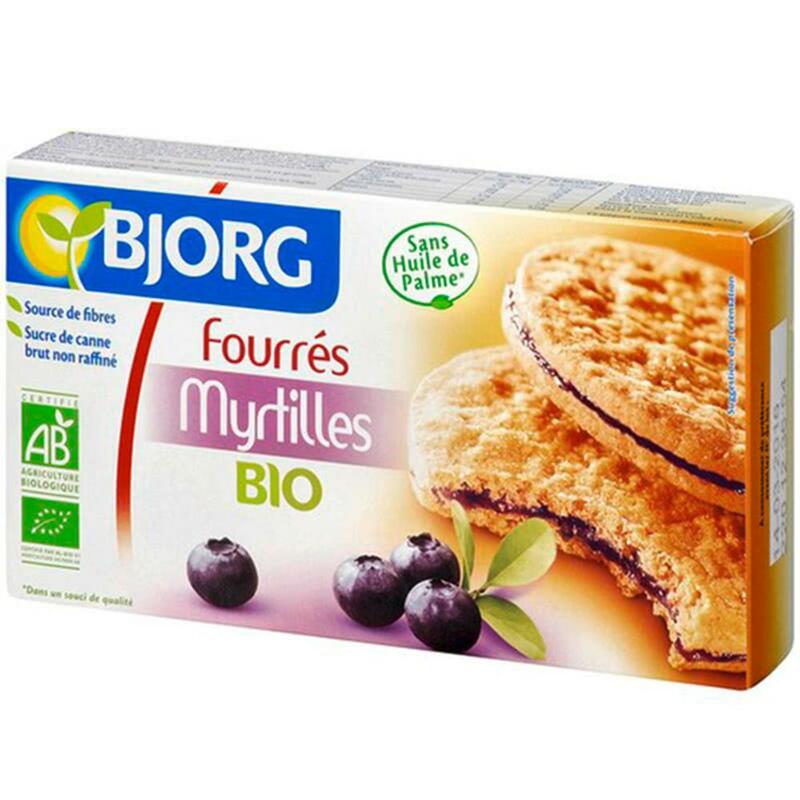 Organic semi-wholegrain biscuits stuffed with Blueberry. Without palmoil, colorants or preservatives. Ingredients: Semi-grain wheat flour * 43.5%, raw sugar cane * 17%, margarine * [sunflower oil*, cocoa butter *, water, emulsifier: lecithin * (sunflower); lemon juice *], sugar syrup * invert, wheat syrup *, honey 3%, powdered eggs, concentrated bilberry * 0.7% (equivalent to 5% blueberry), acidifying agent: citric acid; seawater, swelling agents: sodium carbonates, ammonium carbonates. * Organic Agriculture. It may contain traces of dried fruits, soy, milk & sesame seeds.